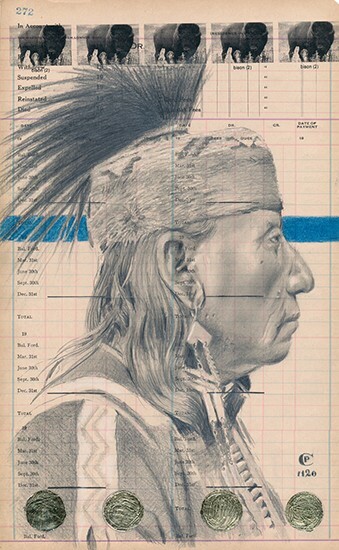 Over the course of an artist’s development, it is well known that drawing the attention of museum curators signifies growing regard for a body of work. It’s an important acknowledgment of craftsmanship and originality. It’s no surprise that the list of museums featuring and often acquiring Chris Pappan’s evocative artworks continues to grow. In Bar Harbor, Maine, the contemporary Abbe museum’s critically acclaimed “Twisted Path” exhibition is back. 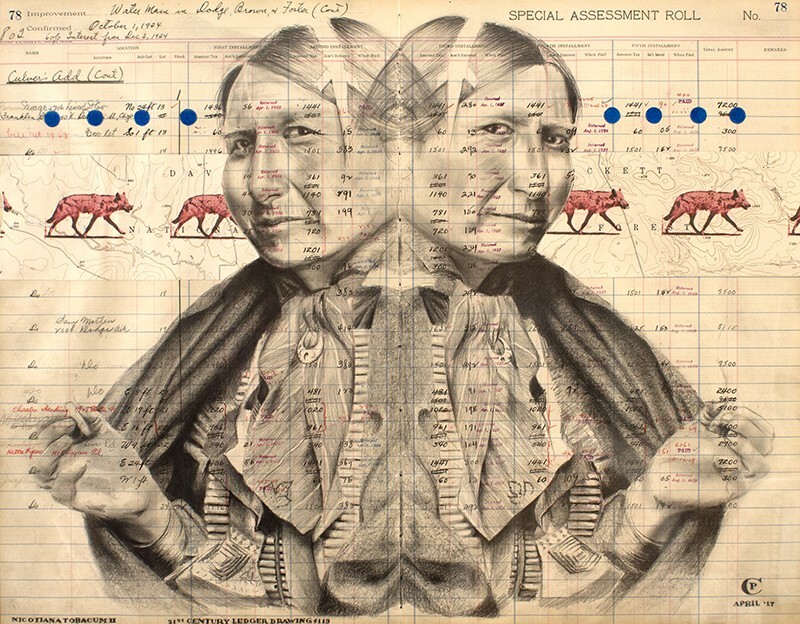 Titled “Vital Signs,” it is an invitational show featuring art work that reflects personal stories about tribal identity and balancing life in a complex world. Chris Pappan is one of only a select handful of artists chosen to participate based on the aesthetics of his work, his ability and willingness to tell stories through art, and the unique and contemporary nature of his form. 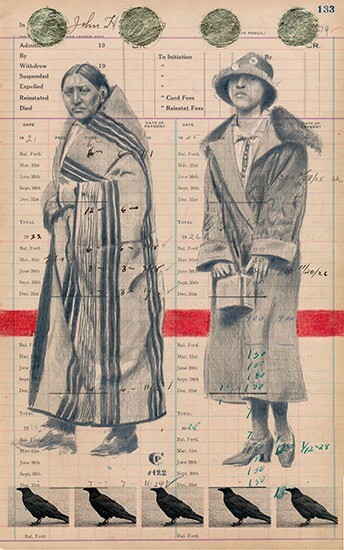 His piece In God’s Image, a pencil/graphite map collage on 1890s institutional ledger, is a headline banner for the exhibition. These three museums are but the latest well-regarded institutions to recognize Chris Pappan’s unique and growing ability as an artist and a cultural commentator. 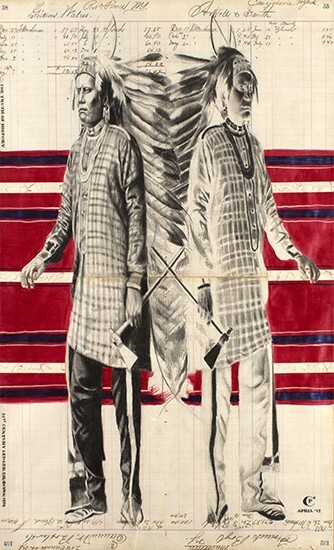 In addition to inclusion in private collections around the globe, his art has received attention from a long list of other museums, including such notables as the National Museum of the American Indian in both Washington DC and New York City and the North American Native Museum in Zurich, Switzerland.